25 OZ Stainless Steel Insulated Bottle - Red is rated 4.5 out of 5 by 32. With the Stainless Steel Insulated Bottle you can filter at home and take your chilled water with you or fill it up with your favorite on the go beverage. Hot or cold, this bottle has you covered. Available in four vibrant colors. Sweat free to keep your desk, table, backpack, purse, or cup-holder free of water drips and rings. Bottle is made of stainless steel 18/8 (304 stainless steel) - long lasting, no risk of leaching materials into your beverage. Rated 5 out of 5 by Lois from Welcome Addition This bottle is perfect for my needs. The water tastes better and colder than when I take water out of the refrigerator. I have a small insulated bag to carry it in, so that makes it very convenient. I am very happy to have purchased it. Rated 5 out of 5 by Johnl from best water bottle I work in a warm factory putting ice and water in the bottle it stays cool for a very long time. Rated 5 out of 5 by Jiggs from wonder bottle This bottle is absolutely amazing. I've been wanting stainless steel bottle for some time and finally purchased one. I should have done this ages ago. My water (no ice) stayed cold for 24 hours. Grateful and thankful. Rated 5 out of 5 by Benbogle from works well This bottle is a nice as it fits in my pack, car and on my desk nicely. I also want good tasting water near me and this bottle does the job and it looks cool. Rated 5 out of 5 by Lonnie from Insulated Bottle - This is my second purchase. I love it. Living in AZ it's nice to know that my water stays cold. Rated 5 out of 5 by Pattttttie from Aquasana Stainless Steel Insulated Bottle As everyone can see in pics, the Aquasana stainless steel insulated water bottles come in beautiful colors. They're heavy and well made. 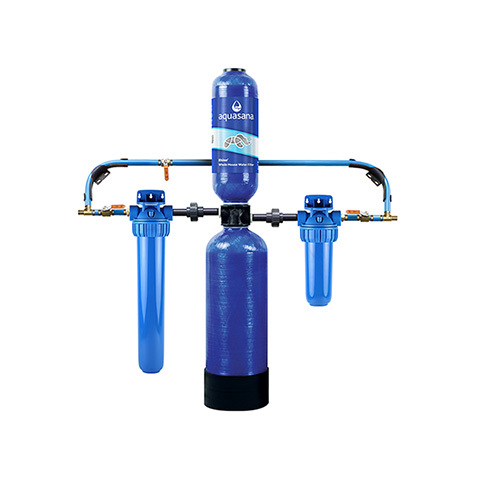 They hold a lot of water and would be great for anyone who wants all day water or to share a jug (parents, couples etc). The insulation keeps water cold and the bottles don't break when dropped (unlike the old time glass lined bottles). I've made an over the shoulder carrier for my bottle so I conveniently have plenty of filtered (by Aquasana) water with me all day! Rated 5 out of 5 by Shih Tzu Mom 42 from How "COOL" I have purchased eight of these bottles. Keeps beverage cooler for longer than any other thermal bottle/container I have had in all my 74 years. Be sure to buy more than one. They make great gifts. Rated 5 out of 5 by Shih Tzu Mom 42 from Best Ever I have tried soo many insulated bottles/glasses/thermoses and none can compare to these. My water stays cold well overnight and then some. Do not hesitate to buy thgese. A little heavy when full. But well worth the weight. What can I use my Aquasana Insulated Bottle for? Aquasana Insulated Bottles can be used for the hot or cold beverage of your choice, however, we do not recommend its use with carbonated beverages. When in use with hot liquids avoid overfilling and ensure lid is properly tightened. Hot beverages can cause user harm. Aquasana Insulated Bottles are designed to store liquids up to 24 hours and not long-term storage. Certain beverages may spoil after 24 hours. What is the Capacity of my Aquasana Insulated Bottle? Aquasana Insulated Bottles are 750ml or 25oz. Can my Aquasana Insulated Bottle be put in the refrigerator or freezer? 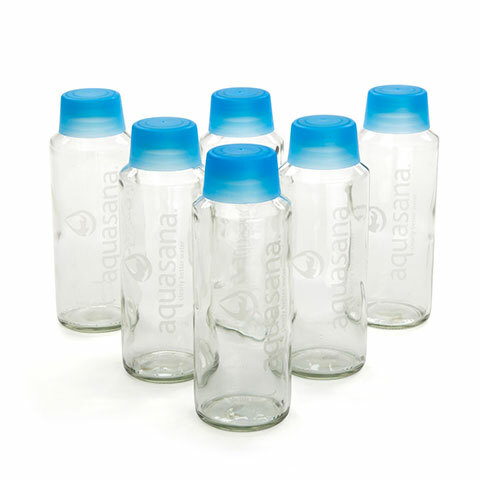 Aquasana Insulated Bottles use a vacuum seal that can be damaged by storage in a refrigerator or freezer. 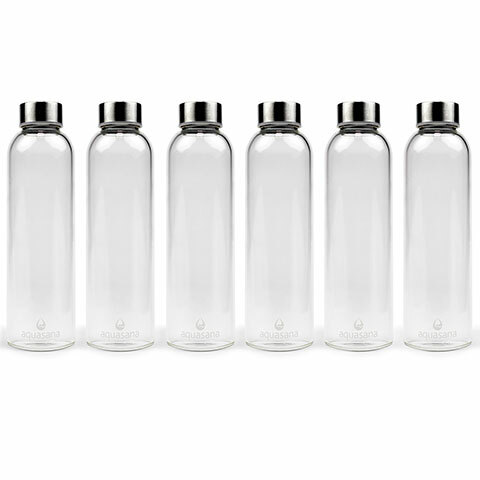 Insulated bottles are designed to keep beverages at desired temperatures for up to 24 hours so no refrigerator needed! Can my Aquasana Insulated Bottle be used in a microwave? Putting your Aquasana Insulated Bottle will damage your bottle and your microwave. DO NOT use in your microwave. How should I wash my Aquasana Insulated Bottle? DO NOT wash your insulated bottle in a dishwasher. Doing so will damage the vacuum seal. Aquasana Insulated Bottles should be hand washed with warm water and dish soap. DO NOT use cleaners that contain bleach or chlorine. Air dry your bottle upside down with the lid off. Your bottle should be rinsed after each use. How should I store my Aquasana Insulated Bottle? 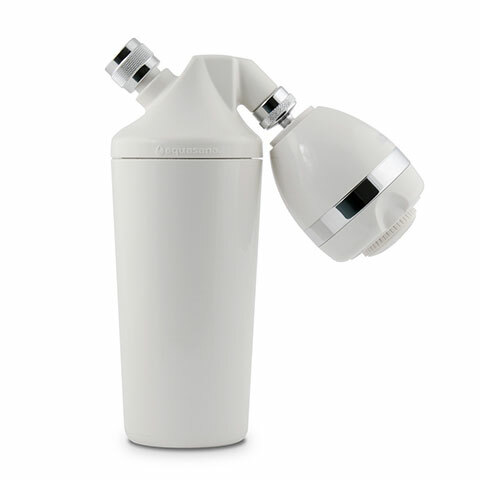 After air drying, your insulated bottle should be should be stored with the lid off to maintain freshness. What is my Aquasana Insulated Bottle made of? Aquasana Insulated bottles are made of food grade 304 Stainless Steel. What does the warranty cover on my Aquasana Insulated Bottle? This warranty covers defects in materials or workmanship in manufacturing of your Aquasana Bottle for the normal lifetime of the product. It does not cover regular wear and tear such as dents, scratches, color fading, or damages caused by dropping. No. Should not be submerged in water either. Clean with wam=rm soapy water. I use a bottle brush. We are not aware of a mouthpiece for our bottles. What is the exterior (colored outside) made of? Seems to be powder coated. Whatever it is it's really tough . What are the dimensions of these bottles? How big is the opening ? Can ice cubes from a refrigerator ice maker fit through ? Where are these bottles manufactured? Is the part where you put your mouth painted or clean stainless steel? &nbsp;Cannot tell from single photo.